Finally getting around to doing this experience post. It was a memorable evening, for many reasons. I actually contemplated skipping this event. 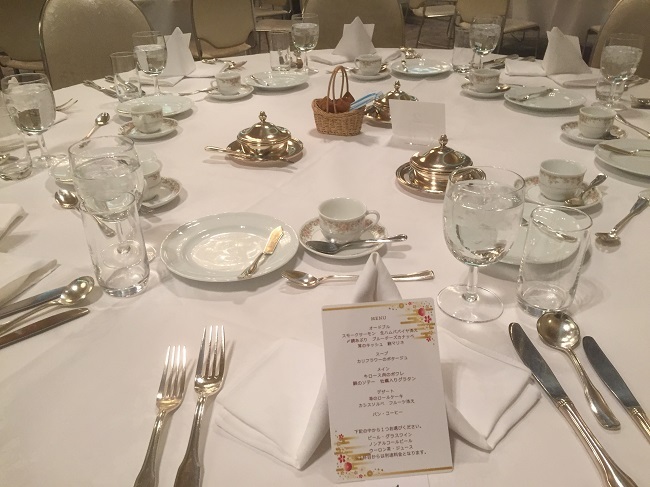 But then I thought “Hey, this is Wasamin’s FIRST solo dinner show. I gotta go and support her on this. I booked my ticket in early January, going through the usual rigmarole of making a telephone reservation, then going to the bank and begging a manager to help me through the ATM payment process. It should also be noted that that this dinner show cost less than half of what those two Christmas dinner shows she participated in cost. So based on that, if this was even close to being as nice as those events, it would be a bargain! But I was set, all I needed to do was show up. The other issue was that I had a huge mid-term exam a couple of days after, and I really needed to study. I foolishly figured I would bring my books to study while riding the Shinkansen. But who am I fooling? To me nothing makes a Shinkansen ride better than to have a few drinks during the trip. There would be no studying for me. I made it to Nagoya Station at 4pm, and caught the subway (The same one that goes to Sunshine Sakae) to Ikeshita Station. The hotel was just a block away. I made it there early to make sure I would get in on the special PB deal where you received an exclusive Wasamin postcard. 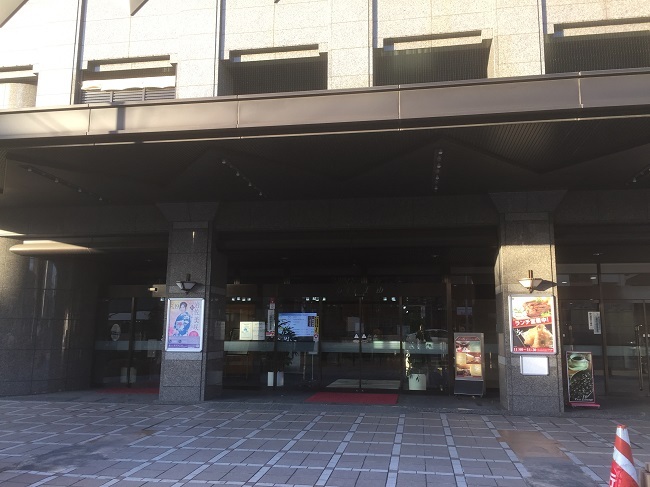 I walked into the hotel, and saw plenty of dapper Wasamin fans, but no goods being sold. 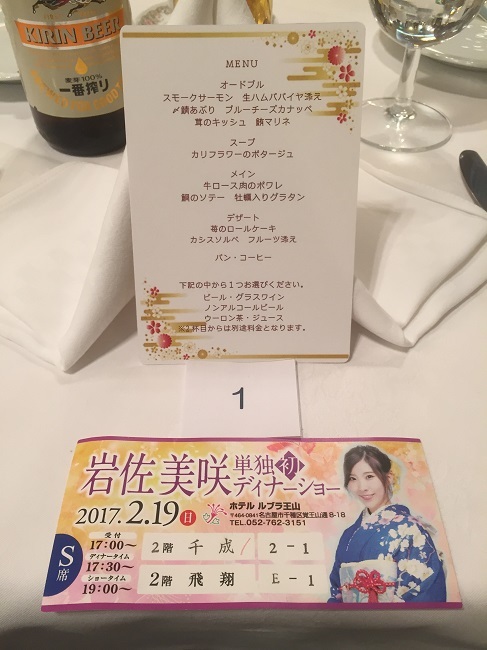 I grabbed a cup of coffee from the hotel cafe, and eventually they started selling copies of Saba Kaido, which came with handshake tickets for after the event. Finally at 5pm, they opened three tables in the middle of the lobby. 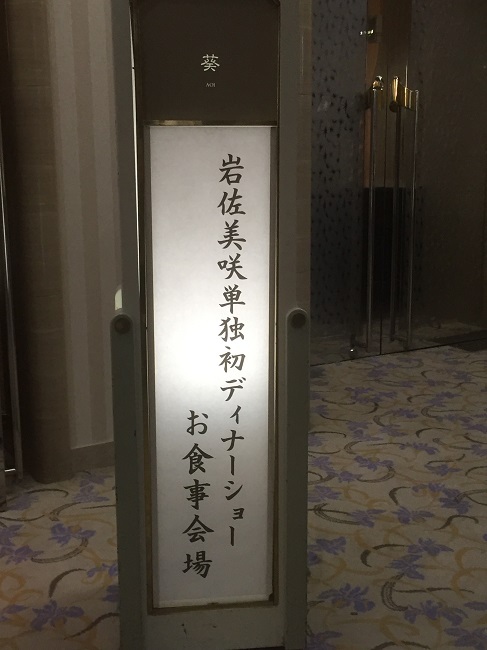 One was to check-in for the event. The second was to draw for some prize. (To this day I have no idea what the prize was. Needless to say I lost) and finally a third table to get the PB. The good news was, when I opened the PB it was an autographed copy. So now I have THREE autographed Wasamin PBs. 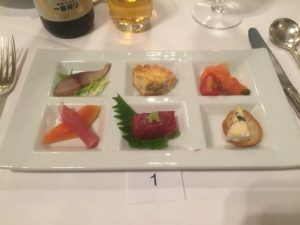 A short time later we were escorted upstairs to dinner…. To my surprise, we were not eating dinner where the show would be. It was merely a dining room, quite a plain dining room I might add. Also, there were two separate dining rooms. 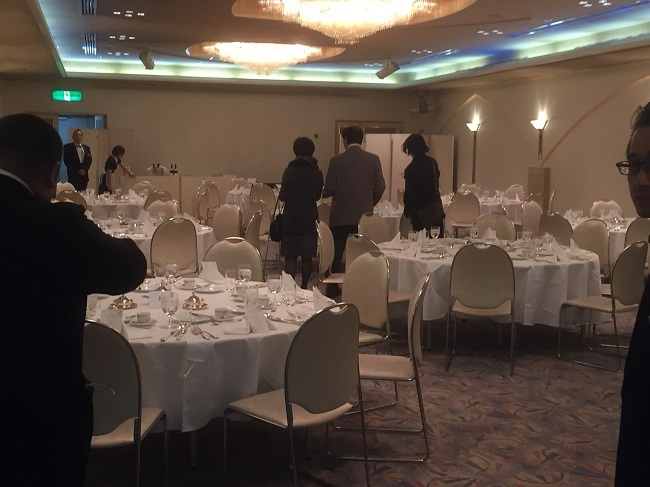 Most of the Wasamin fans were in Dining Room #1. However, I was one of a small handful of Wasafans that ended up in Dining Room #2. Not that one room was better than the other, it was just that most everyone I am friends with was in a different room. The tables were nice, and there was nice, soft, classical music playing. But it was just a plain room, without any character. Also, the lights were much too bright. But I could deal with that as long as the food was good. Once we sat down the attendant immediately took our drink order, also translating it into English for me. However, I am well familiar with how Beer, Wine, Tea and Juice are spelled. We would get one drink for the dinner. Fortunately, if you ordered a beer they brought a nice sized bottle. So I had more than enough. The next fun for me was to figure out what we were going to be served. It is a fun little sport, and good for Japanese practice. Anyway, I figured out about 3/4 of it before the appetizers came. Overall the food was very nice. 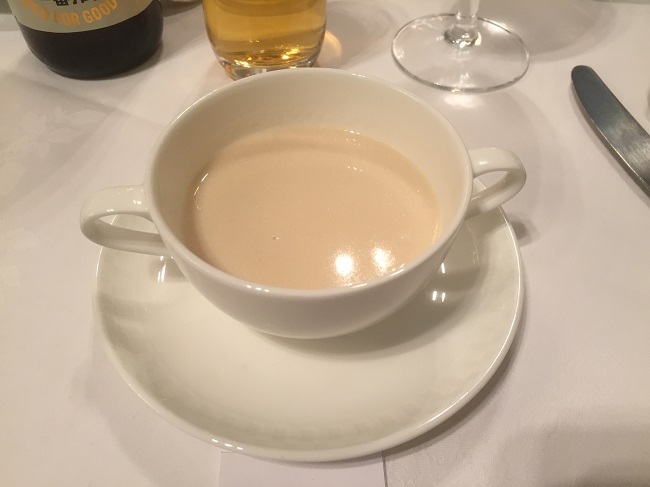 My favorite was definitely the Cauliflower Potage. It tasted perfect, and had little chunks of cauliflower at the bottom. Also, that Oyster Gratin was quite nice. As for the main course, it wasn’t going to win any awards for presentation, but the mix of flavors was quite satisfying. Also, the dessert was really pretty. During dinner I was tweeting pictures of the dishes and my thoughts. Remember I said that. The setlist was slightly reminiscent of her January concert, as a few of these were songs she debuted at that show. The crowd was really rowdy at the outset, which prompted Wasamin to wonder how much alcohol we all had before the show. But the funniest part was during the second MC. 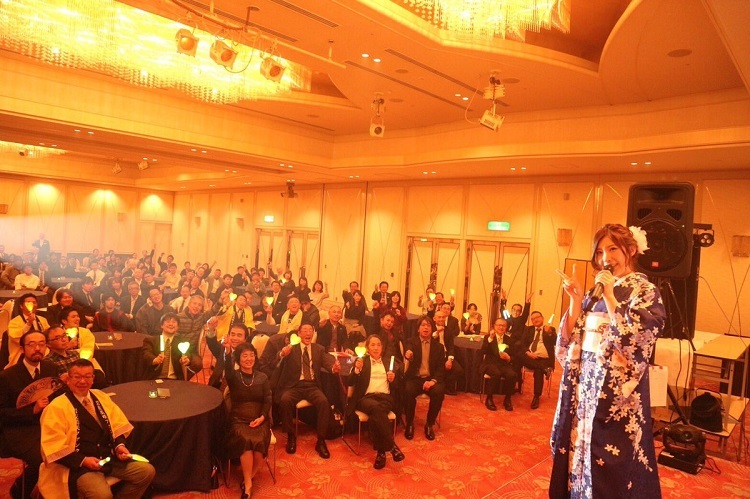 Wasamin asked how many people in attendance were actually from Aichi prefecture, and a few rais their hands. 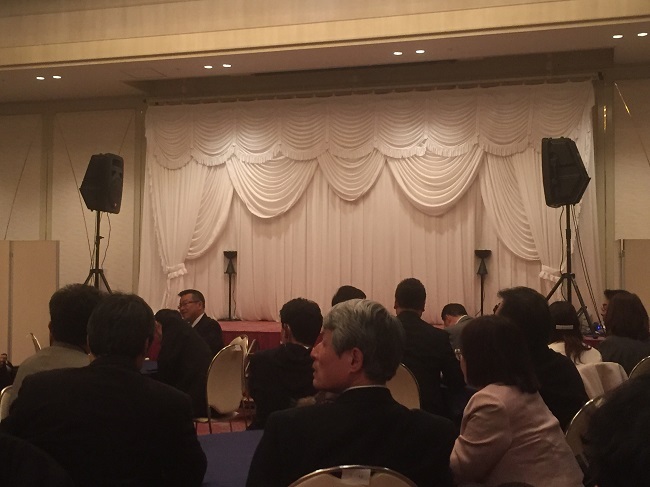 She asked if anyone came from Kansai, and a few raised their hands. When she asked who came from Kanto, most of the room raised their hands. So that was funny. but then you could hear a few of the Wasamin fans in front mumbling my name. Wasamin is like “Nani??? Kurisu??? Doko desu ka?” Wasamin starts looking for me in the crowd as the lights came up slightly. Oh god, this is embarrassing. She spots me, and asks me in English, “Where are you from?” My answer??? The entire room, including Wasamin bursts into laughter. Glad I could be part of the act, Misaki-chan! She should make me a permanent part of the act, then I could travel with her. BTW, later she asked how many people were seeing her live for the first time, and quite a few raised their hands. So that is very cool. Wasamin continuing to build an audience. She asks that at pretty much every event. Anyway, that was the show. 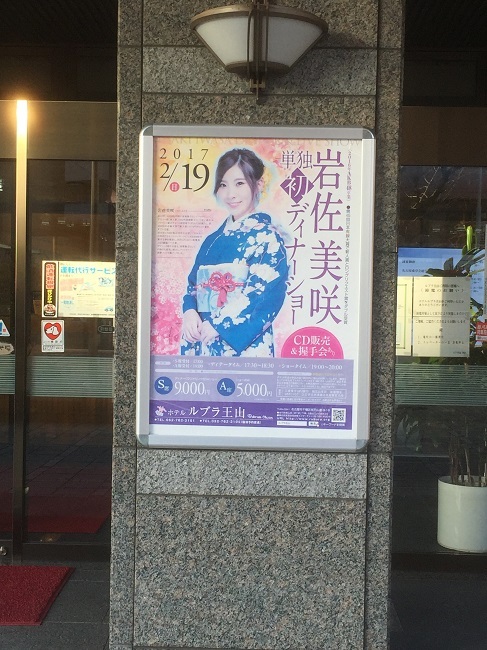 Very nice Wasa-performance, despite the fact that she was slightly under the weather, which might explain why she seemed so sedated at her mini-live in Urawa the next day. Before the last song we took a big group pic, although they needed to take two to get the entire audience into the shot…. the handshake event started pretty much immediately after. I had one ticket. I didn’t want to stay too late since I had to get back to Tokyo. When I got up to Wasamin I reiterated that I am from Itabashi, and not America, since I’m not much of a Trump fan. Me: No, I don’t. 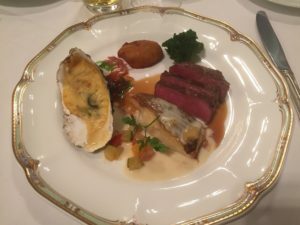 But I enjoyed tonight’s dinner. Wasamin: I know. You liked the soup, right? Me: You read my twitter? You saw all of my photos? Wasamin: Yes, I saw them. Me: So you read my twitter, right? Me: I said something good about Misaki-chan, you saw my dessert photo? 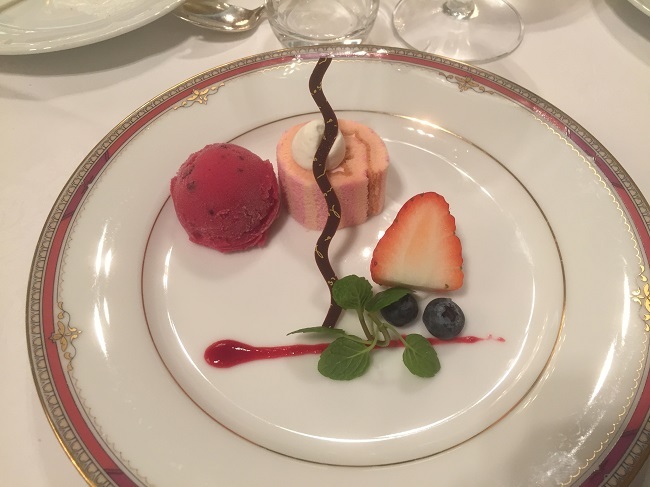 Me: I said the dessert was beautiful, just like Wasamin! Okay, now I felt complete. I headed back to Nagoya with one of the other Wasafans (the one who informed me of the last-minute Urawa appearance) and finally made it back to my apartment shortly after midnight. and I am sure there will be plenty of random mini-lives scheduled. When you are a Wasafan it is an almost weekly experience. I am sure we will be getting a newsletter soon, with plenty more stuff to apply for.